Children in rural areas face particular risks to their health and well-being. Some risks relate to their demographic characteristics; rural children are more likely to live in poverty than those in urban areas. Some relate to their physical environment; the risks of injury and of death from injury are greater among rural children. Since 2003, the National Survey of Children’ Health (NSCH) has presented in-depth National and State-level data on the health and well-being of children in their families and communities. The survey provides a snapshot of children’s physical, mental, and developmental health status; access to health care; activities at school, outside of school, and at home; and their safety and security in their neighborhoods and at school. The NSCH, supported and developed by the U.S. Department of Health and Human Services, Health Resources and Services Administration’s Maternal and Child Health Bureau and conducted by the National Center for Health Statistics of the Centers for Disease Control and Prevention, is the only nationally-representative survey that considers children’s health and well-being within the contexts of the family and community. 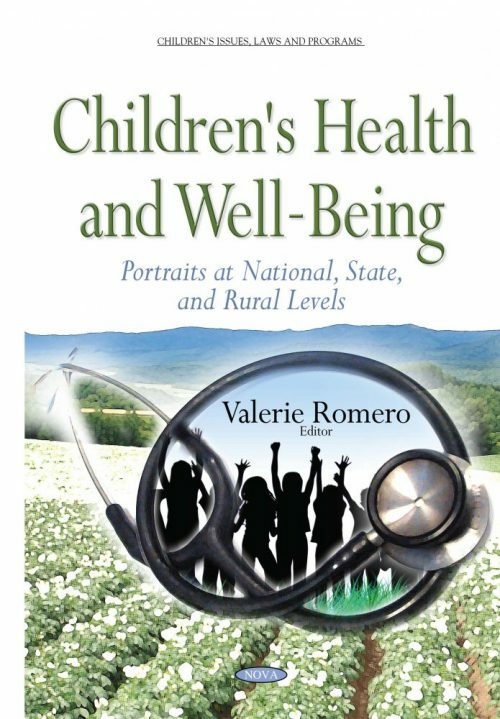 This book presents indicators of the health and well-being of children, the supportive and risk factors in the family environment, and aspects of the neighborhood that may support or threaten families and children.